More from Majestic Drug Co., Inc. Heading The disposable tool that ensures better oral hygiene. Directions Gently move floss up and down against each tooth. Clean below the gum line to remove bacterial plaque. Rinse floss as needed. Use gentle in and out motions to remove plaque and stimulate gums. Uses Removes plaque and stimulates gums. Exclusive micro-tex tip. Dentist recommended. For healthier teeth & gums! Daily use helps fight bad breath and gingivitis! 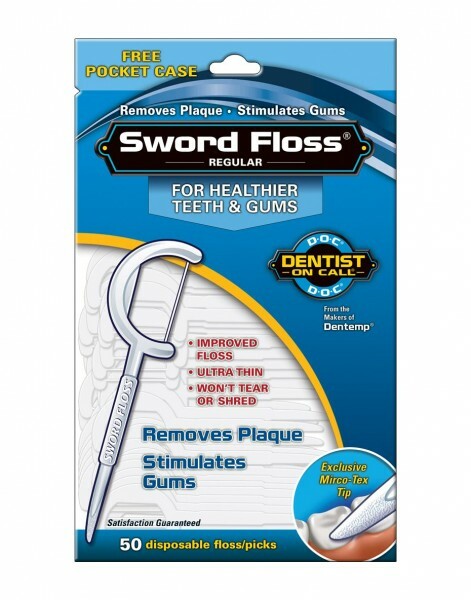 Free pocket case - for good oral hygiene anywhere! New convenient zip-bag.